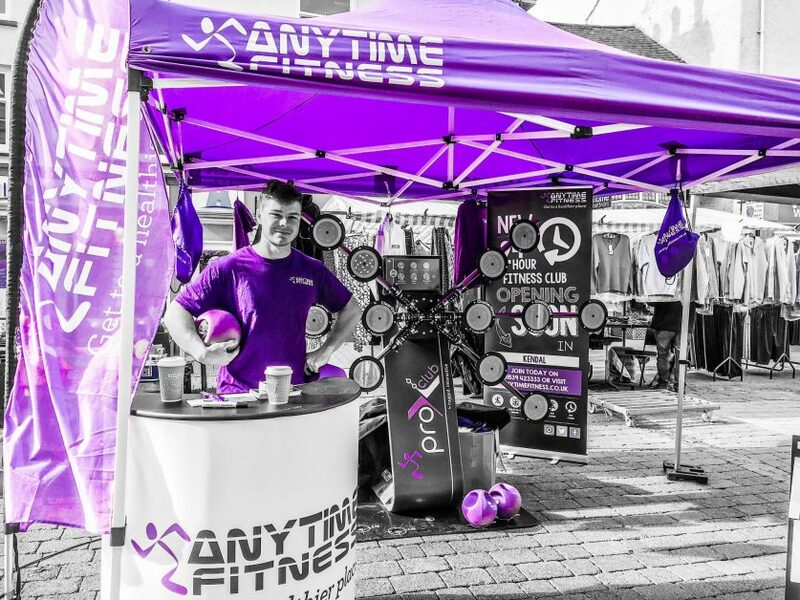 Anytime Fitness is a 24-hour health and fitness club that operates over 3,000 franchised locations in 20 countries. The gym facilities are open 24 hours a day, 365 days out of the year. Since its launch in 2002 year after year Anytime Fitness continues to be one of the fastest growing fitness franchises. At one of their recent pre-launches in the UK they wanted to bring in a product that would give their clientele a truly unique interactive experience that would help turn prospects into members – enter the CardioWall Pro-X. “As soon as the Pro-X arrived, our prospects and memberships took off!” – Joe Racey, Anytime Fitness Kings LynnThe CardioWall challenges users to balance, stretch, squat, reach, think and react as they must follow and hit the different patterns of lighted pads. The Pro-X is ideal for a warm-up, reaction and peripheral vision training or stamina work. Build into circuits and training for the perfect high-intensity workout. The Pro-X provides users with a score that they’ll want to beat. It motivates players to work faster and harder and will create a buzz around you club that brings PTs, staff members and clients together. With the Pro-X you can track your scores and progress with FitMakr Pro Performance Tracking Software. Analyze scores, reaction times and heat maps via your user profile. This product is proven to provide cardio-workouts that can form the basis of sports training routines or physical rehabilitation programs. If you would like to know more about how facilities across the US are making an impact in their community with Exergame, contact us for more.